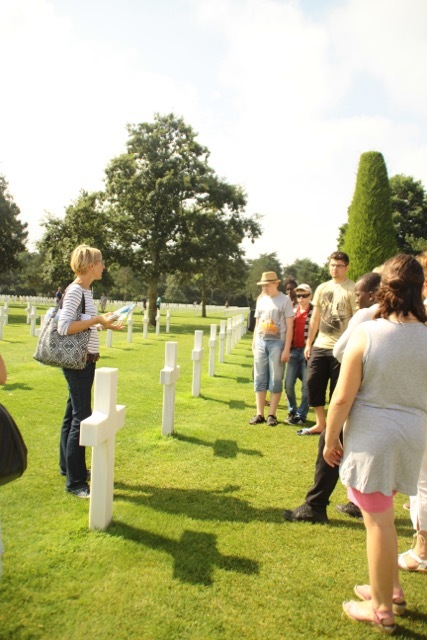 Normandy Passion Tours is a company located in Bréhal and run by Valérie Coupel, a passionate Art historian and licensed Tour guide. Valérie Coupel was born in Normandy and studied Art history and languages at La Sorbonne University in Paris. She has been a free-lance tour guide for 16 years. Specialized in Mont-Saint-Michel and the Normandy Landing Beaches, she will take you to these worldly famous destinations but other beautiful and typical places can be explored : Bayeux, Saint Malo, Caen, Granville. Let her introduce you to the kindness of local people and the authentic beauty of Normandy . Wonderful day in Normandy. Very knowledgeable guide, great personality. Very attentive to our needs and wishes. Cannot recommend high enough ! We thoroughly enjoyed our tour to Mt. St. Michel. Our guide was extremely knowledgeable and provided great insight for us on the history and culture. She is not only professional but also warm and personable. Thanks for a wonderful day. Knowledgeable, pleasant & speaks excellent English. Trip was customized to meet our needs. Wonderful way to kick off our family vacation. Highly recommend & wish more guides were like her.